Refurbishment projects have many different challenges attached to them. Whether you are the property developer looking to make money by selling a property bought at auction, a company adding to a property portfolio with a view to renting out to tenants, or a domestic property owner aiming to upgrade and renovate a property for you to live in for the foreseeable future, you have to be aware of the potential dangers before commencing with any refurbishment work. One danger to be fully aware of is that of asbestos, which has been banned in construction in the UK since 1999 but remains present in a large number of properties and structures that were built prior to this date. Whenever asbestos is present it is vital that you have a team of licensed asbestos contractors to deal with the problem legally and safely. This should always begin with a full and thorough asbestos survey prior to any property refurbishment project. A pre-refurbishment asbestos survey should always be undertaken by a licensed asbestos management operator, as they understand the legality and regulations surrounding asbestos handling, as well as the safe practices to seal or fully remove asbestos and asbestos materials without harming any person living or working in the property in question. The survey will locate all asbestos present within the building. Once they have been located there will also be a full description given within the survey report. The operators will have been provided with full access to the property in order to undertake a full and extensive inspection of all areas. If there is asbestos present, it will be located, identified and noted. 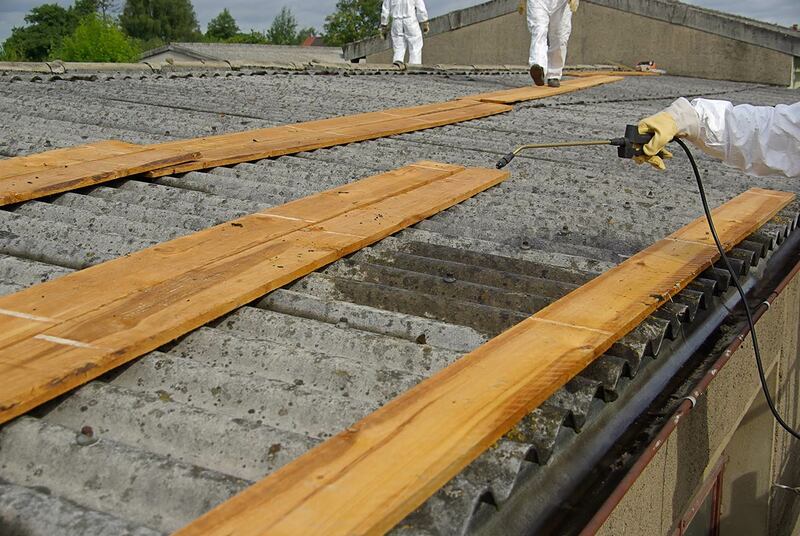 Before any refurbishment work can be undertaken, any asbestos present must be removed carefully and securely. With a full pre-refurbishment asbestos survey you can be fully prepared for this eventuality. An asbestos survey of this type is quite intrusive in its very nature, but it can be targeted to a specific area of a building if refurbishment work is only taking place in one area of the property. You should always be as cautious as possible though, surveying as much of the area as possible to ensure you are fully covered prior to refurbishment tasks being undertaken. Asbestos fibres can be deadly, and it only takes a minimal amount of disruption to asbestos materials for fibres to be released in to the air. From here, it only takes one single inhalation to cause long-term health problems, with mesothelioma and other asbestos-related illnesses taking many years to present symptoms, by which time it is too late for the victims to recover. The asbestos survey provides you with a clear plan of action moving forward, understanding exactly where asbestos is located, and the advice put forward by the licensed asbestos management and removal specialists. Hiring a professional team to remove all asbestos safely, ensure that those living and working in the building during the refurbishment project will be kept safe from harm and won’t be exposed to deadly asbestos fibres released in the air.